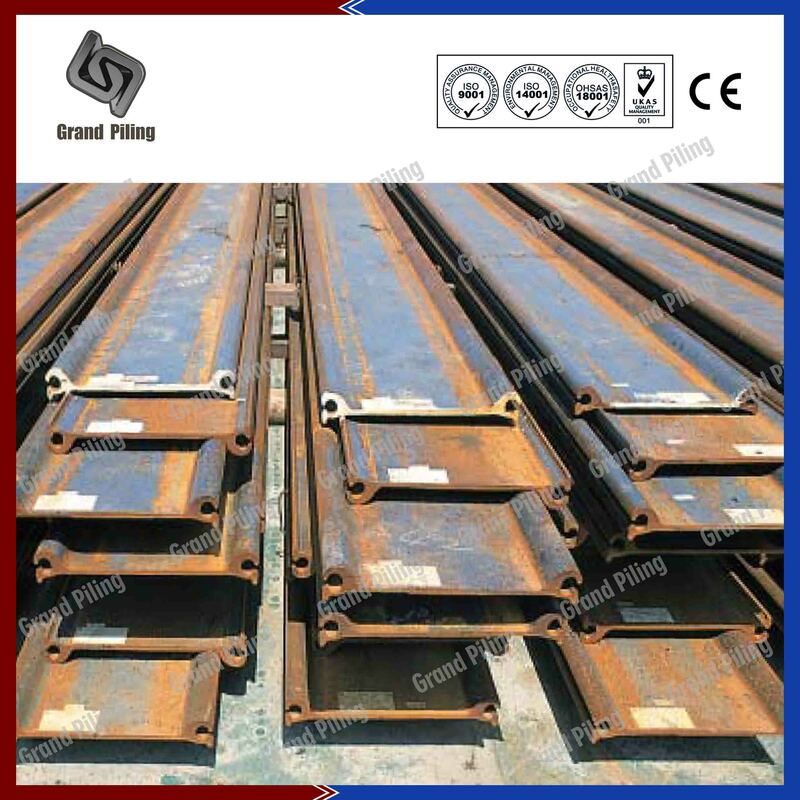 Straight web sheet pile structures are constructed as circular cells or diaphragm walls depending on the site characteristics or the particular requirements of the project. The large diameter of each cell, and contained soil mass ensures stability of the structure.The forces developing in straight web sheet pile sections are essentially horizontal traction forces requiring interlocks. 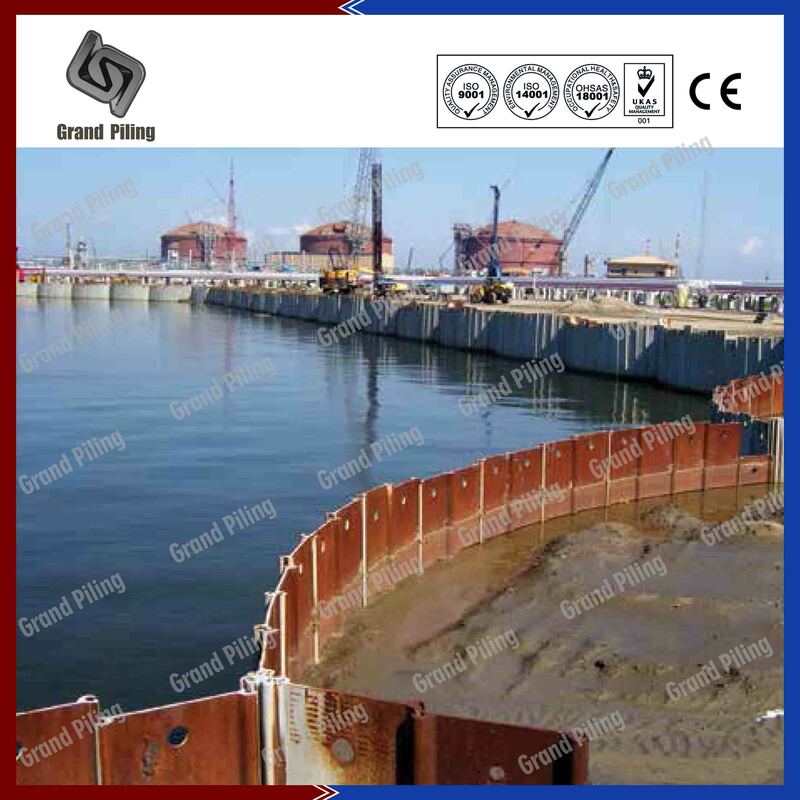 Straight web sheet piles are typically formed with closed cylindrical structures,which are widely used in cofferdam,pier,port constructions etc both in permanent and temporary projects. Straight web sheet piles can rotate up to 4. 5 degrees per interlock, greater rotation can be achieved by special bending of the sheet pile up to 12 degrees. Straight web sheet pile structures are constructed as circular cells or diaphragm walls depending on the site characteristics or the particular requirements of the project. The large diameter of each cell, and contained soil mass ensures stability of the structure. The forces developing in straight web sheet pile sections are essentially horizontal traction forces requiring interlocks. Ø Straight web sheet piles,also hot rolled sheet piling, are designed to form cylindrical structures, generally closed, retaining a soil backfill.The stability of constructions built up like that, a steel envelope and an internal soil massive, is guaranteed by their own weight. 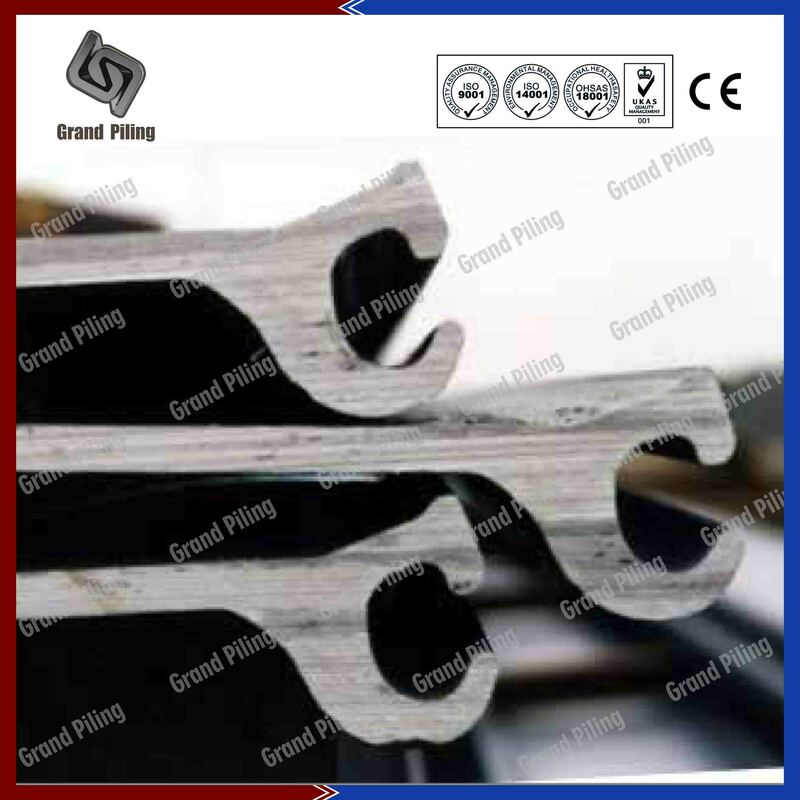 Ø Straight Web sheet piling are mostly used on projects where rock layers are close to ground level, where the excavation depth is very important or where anchoring would be difficult or even impossible. Straight web sheet pile structures are realised as circular cells or diaphragm walls depending on the site characteristics or the particular requirements of the project. 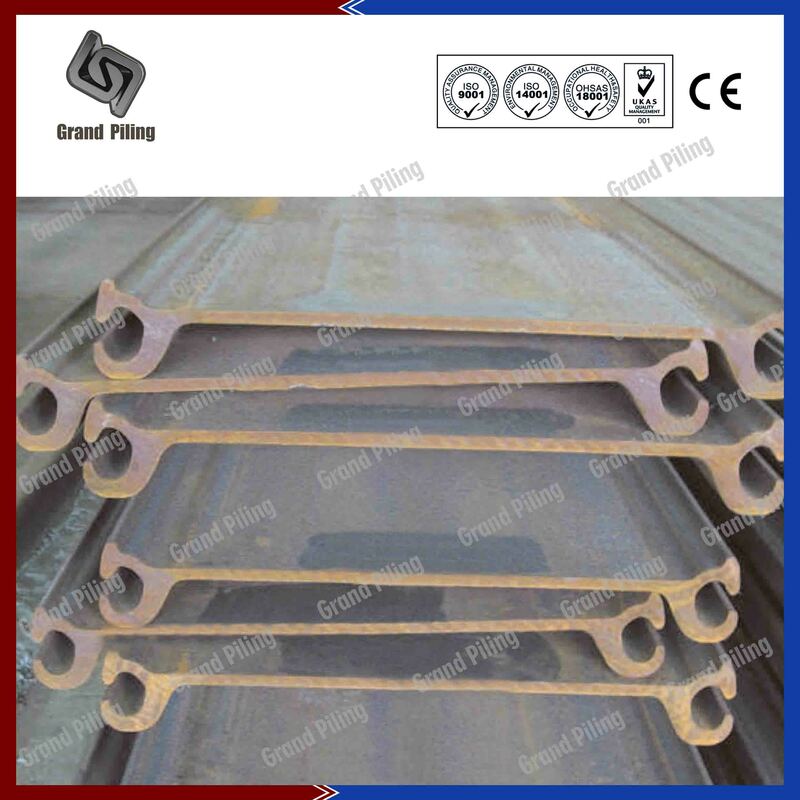 Ø The efforts developing in these sheet pile sections are essentially horizontal traction forces requiring interlocks especially designed for declutching resistance, corresponding to the horizontal force in the web of pile.